This texture is achieved by spraying drywall compound directly on the walls or ceilings and allowing to dry as is. 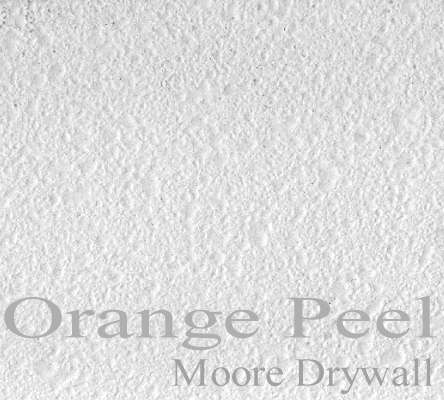 Similar to a knock-down texture, Orange Peel is used in new homes seeking both a contemporary look and a southwestern feel. It is also used to conceal flaws in older rooms. Surface is painted to create a faux plaster or masonry finish.